The University of California, Santa Cruz, has earned national distinction as a university with high-impact research and an uncommon commitment to teaching and public service.A campus with world-class facilities and one of the most visually spectacular settings in higher education, UC Santa Cruz provides unparalleled opportunities for students to learn through hands-on experience. A commitment to environmental stewardship and community engagement are also central to UCSC's core values.Undergraduates pursue course work in 65 majors in the arts, engineering, humanities, physical and biological sciences, and social sciences. Graduate students work toward master's degrees, doctoral degrees, and graduate certificates in 39 academic fields.UCSC people, including about 88,000 alumni, are leaders in virtually every field; and the campus is highly regarded for the positive impact it has on society. VETS Meet and Greet Group Photo from 2014! 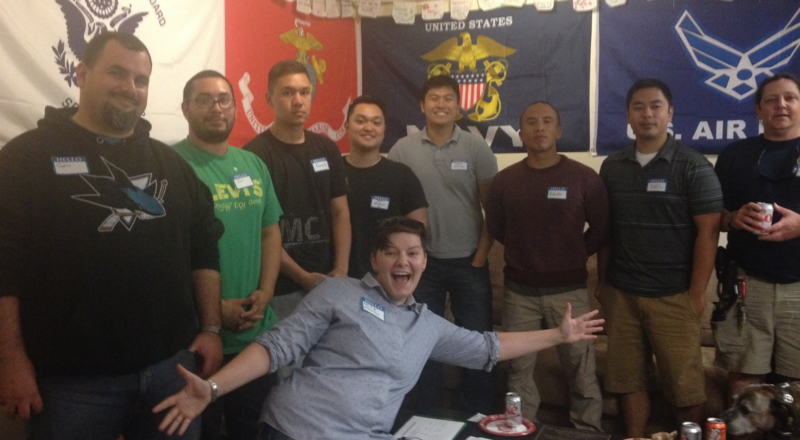 Connect here to learn more about UCSC's VETS Program!